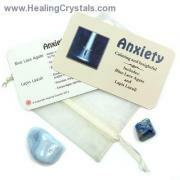 Pendant (1-1/4" - 1-1/2") w/ Cord and Crystal Card - 1pc. 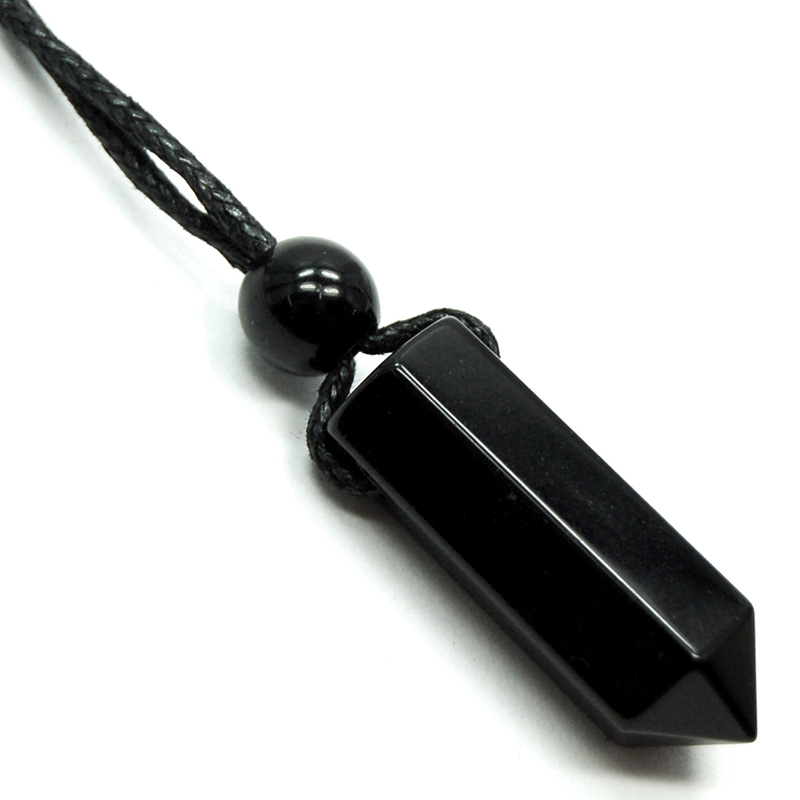 Black Onyx ST Pencil Point Pendant - These are nice 6-sided single terminated Black Onyx Pencil Point Pendants that include an adjustable cotton neckstring and topped with a black onyx bead. 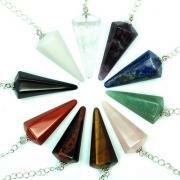 These Black Onyx pendants look great to wear, and can also help support you and your intentions throughout the day. A powerful protection stone, Black Onyx absorbs and transforms negative energy, and helps to prevent the drain of personal energy. Black Onyx aids the development of emotional and physical strength and stamina, especially when support is needed during times of stress. Black Onyx fosters wise decision making. 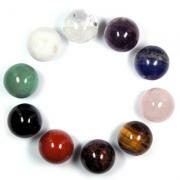 Use Black Onyx for working with the Root Chakra, for grounding, and to help realize material goals. 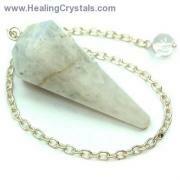 Black Onyx is a good stone for anyone with a strong presence of Saturn in his/her natal chart. 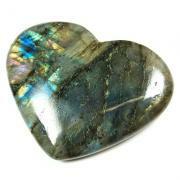 This is a strength-giving stone and can provide support for self discipline issues. Because it helps to hold physical memories, Black Onyx can be useful in healing old wounds or past life issues.